Is Your Child Being Cyber Bullied? Track them using A Spy Software! An online form of bully that requires digital communication tools i.e. (Internet and Cell Phones) to threaten, humiliate or harass a person is called Cyber Bullying. It includes posting of mean or explicit content of a person who is innocent. For instance, sharing personal or private information about somebody just to humiliate them in public is a part of bully. How is it different from other kinds of bullying? In today’s era where everybody uses technology so often, it becomes very difficult to escape bullying on the Internet. If somebody is humiliated by a person or a group, he/she can avoid them or the place where they are usually found. But, if a person is humiliated online then it is very difficult for the victim to escape the situation. And as a result, victims start getting suicidal thoughts and end up doing something nasty. 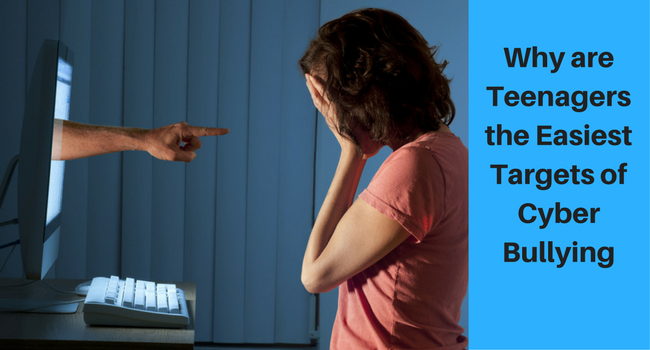 Why are teenagers the easiest targets of Cyber Bullying? Teens mostly love spending their time on social media accounts and they even have a lot of friends that they have never met in person. They even play online games and exchange messages with people they hardly know. The main reason why teens are targeted the most is because of their reckless behavior. They are often seen sharing their pictures and information online which is further used as a source of Bully. If these signs seem quite similar to you, then you must take instant action. Don’t wait for the situation to get out of your control. How can kids escape Cyber Bullying? Don’t put any information online or even on your email that you probably don’t want your friends or classmates to see. Avoid sending angry messages online, be polite with everyone. 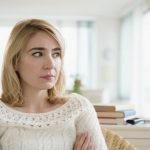 What can Parents do to stop Cyber Bully? Make sure that when your teens set up their emails or chat room accounts, you are there with them. Don’t let them share their personal information and don’t forget to jot down their screen names. Check their friend list on a daily basis and if you notice someone new, ask your child about that person. Be frank with your children, talk to them about Cyber Bullying and ask if they have ever experienced it previously. Make your children believe that you will never blame them if they somehow became a victim of Cyber Bully, provided that they share everything with you. No matter how much parents try, children do not love to share their personal life with them. So, as a concern parent, you need something that can help you Track Your Child without their consent. How to track your child without letting them know? Being a parent is not an easy task! We know that, you are always worried about your child, but probably don’t want to lose their trust by unnecessarily confronting them for your suspicions. So, there is a way that helps you track their online activities without letting them know, what you are really up to. There are various mobile phone spy apps available in the market that can help you track their phone including Text messages, web browser history, location, call logs and much more. Cell Phone Spy app is an efficient way to monitor your child to save them from Cyber Bully. How can Mobile Spy Apps help you save your child from Cyber Bully? The primary thing that you need to understand as a parent is that you can only save your child from cyber bullying if you have access to all their information. Phone Monitoring Apps help you track your teen’s emails, IM chats, call logs, Text Messages, website browser history, and even multimedia files like photos and videos saved on their cell phones. And if you are looking for a Spy Product then Spymaster Pro, FlexiSPY, mSpy, MobiStealth, Mobile Spy, and Highster Mobile are some of the best Spy softwares available in the market. Don’t let things slip off your hand, take control over the situation! 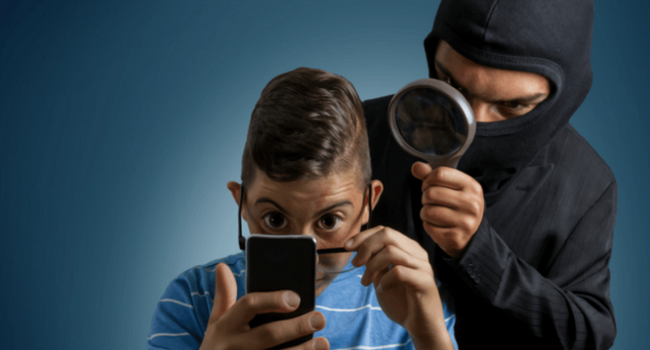 Order a Mobile Spy app to monitor your child’s every single phone activity. How to Track Someone’s Location Using a Spy Software? Can I Read My Boyfriend’s Text Messages and Emails with Your Cellphone? How Can I Track My Spouse’s Cell Phone, Remotely? In reviewspyapps.com, we provide reviews of the best monitoring software in the market. The products we highlight are based on features, efficiency and reliability. Today spy software has become increasingly popular in the outer world where suspicion has increased in relationships and lack of trust in our lives. Best Cell phone monitoring software are not easy to find and people have lot of trust issues related to them, reviewspyapps.com helps to find the best and most reliable software which match the demands of the customer. We make it our top most priority to provide you up to date information. 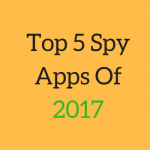 Copyright © 2018 Review Spy Apps. All rights reserved.